Increase the beauty of any commercial venue with this giant Christmas decor ornament. Enjoy the elegance it will add, as well as all of the compliments. 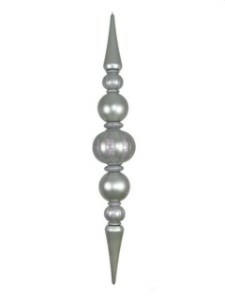 This giant finial ornament encompasses your Christmas decor needs. In stunning silver the iconic Christmas colors brings holiday joy to all!